Whether it’s with a pencil or through a lens, art is something that everyone can find a passion for. So if you find yourself having a dull or hectic day, Riverside supplies you with multiple museums all around the city to spend a couple hours and get in touch with your artistic side. Below you can you find the various options the city has when it comes to creativity and evoking emotions. Location: 3425 Mission Inn Ave.
Sunday, 12:00 noon – 4:00 p.m. Designed by award-winning architect Julia Morgan, the Riverside Art Museum resides within the 1929 building which had caught the eye of the Riverside Art Center in the 1960’s for its artistic build. The museum also houses many works of art from the famous artist, to even local high school students aspiring to become known for their passion. The RAM exhibit also participates with the many events held in Riverside, including the Festival of Lights, Switch- On Ceremony, where the CBU visual arts assistant professor and students come together and display their illuminated sculpture throughout the event. The Riverside Art walk held at RAM is a monthly occurrence held every first Thursday. There you can experience the local art and culture of Riverside including visual and performing arts. If you are looking to do something with the kids, the RAM also holds a free family-friendly crafts held on the first Sundays of every month. Located on the campus of La Sierra University, you could find one of the world’s largest collections of gems and minerals as well as the largest Southeast Asian bird collection in the U.S. on display. 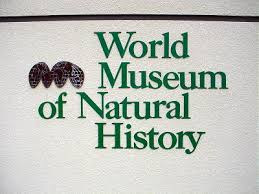 With over 90% of known species of crocodilians, which include turtles, tortoises, lizards, and snakes, you will have no problem in discovering species you haven’t had the chance to come across yet because many of the Asian species featured in this museum do not appear in any other U.S. museum. Since the university naturalized over 100 types of trees in its location, it has been officially acknowledged as an arboretum, which is a botanical collection of trees or living collections of woody plants and is intended at least in part for scientific study. 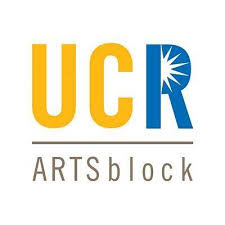 Going along with the historical buildings Riverside has kept up and running, the UCR ARTSblock, is in no way different. Located in a block neighboring Downtown Riverside’s pedestrian mall, you’ll find two reconstructed department stores housing the three museums that came together for this art block. The Museum of Photography is home to UCR’s faculty and student photographs out to showcase for the world to see their keen eye and art. It also displays historic photos to inform the public of the various forms of art and the relationship between traditional expression and contemporary art and to preserving and making accessible its vast holdings of photography and related apparatus. This is an idea that the next museum is trying to bring to the public, the Sweeny Art Gallery is an artistic laboratory trying to show the audience and engage them in the experimentation, modernism, and exploration of art in our time and past as well. The last of three museums in the block is the Barbara and Art Culver Center of the Arts where you could find your moving art. Here they house film programs, musical dances, and even theatrical performances. The Culver Center also holds programs of lectures, symposia, and community forums with artists, filmmakers, playwrights, dancers, and musicians. The main room you could fins yourself in a screening room and café. 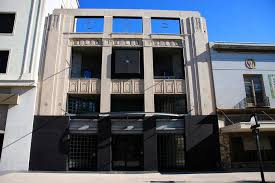 If you make your way up to the second level, you will find a media lab with two dance studious as well a black box with green screen and even recording studio. The widespread art, photography, and research collections these galleries make ARTSblock an significant goal for audiences as well as researchers working in a wide range of fields. Looking For A New Home, Introducing Our New Neighborhood Pages With Listings from Over 60 Cities and Zip Codes. Celina Vazquez is a Real Estate Agent serving the Inland Empire. She has a Broker License, GRI Designation and a CCRM Designation. 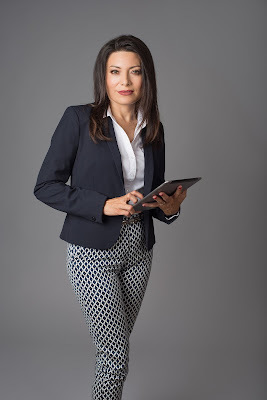 As a Real Estate Agent Celina Vazquez goes the extra mile to take care of her clients. If you are looking to buy, sell, or invest in real estate, call Celina Vazquez today.